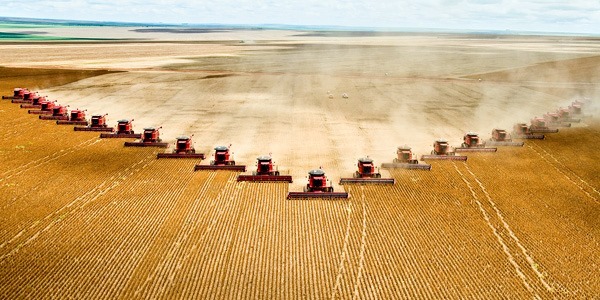 Farming has a reputation as been traditionalist. According to long held traditions farming is a man’s world and the men inherit the earth and the women become farmer’s wives. Well not everybody is doing what their grandfather did. 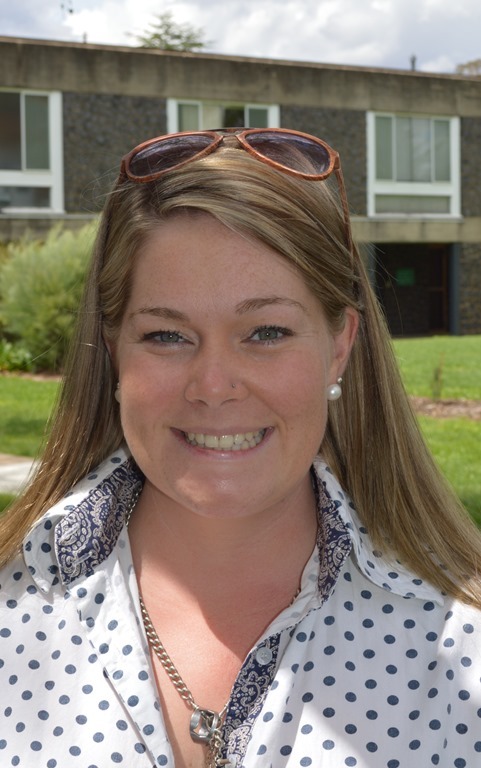 My name is Diana George, I am a Bachelor of Agriculture Student at UNE. I am a fourth generation farmer and my sister and I will be the first girls to inherit our property. I come from a mixed farming enterprise two hours West of Dubbo near the small town of Nevertire NSW. On our family farm where I have lived all my life, we run Beef Cattle, Meat Sheep and dry land cropping enterprises. 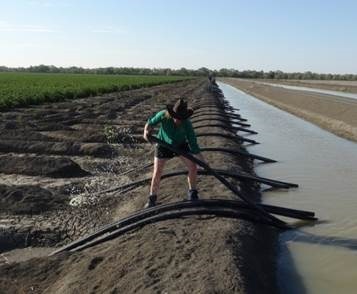 We have also previously been Cotton Irrigators. Agriculture is in my blood, my mother is a farmer, my father is a farmer, my older sister is a female shearer and my younger sister shows cattle and loves machinery as much as I do! Our first cotton crop was picked in April 92, and I was born in March 92. 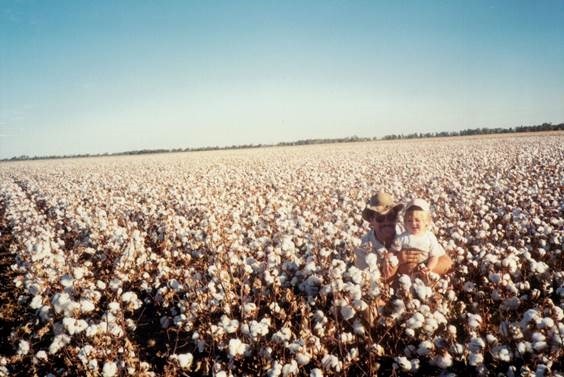 So it’s safe to say that the obsession I now have with cotton and agriculture started from there, in dad’s arms when I was one month old. .
Dad and me in one of our cotton crops. I basically went everywhere with dad, in a little carrier he had strapped on his chest. And when I was old enough to walk there was no way I was missing out on any syphon changes even the ones at 2am in the morning! Much to my mother’s protest. With cotton in its prime articles were being written of bumper crops all over the state. The Land Newspaper approached mum and dad about doing an article on our seasons and crops. I featured in The Land Newspaper with dad in one of our cotton crops at picking time. And still to this date I have the picture on my desk. Did I always want to be in agriculture? No. when I was a little girl in primary school, I was going to live in the city, drive a convertible and be a dance teacher. Agriculture was just where I came from and I didn’t realise how dearly I treasured it and needed it. But when I had to quit dancing as it was becoming too far to drive for lessons three times a week, I discovered my love for cattle and tractors. The rest just fell into place. Unlike most farm children you see I didn’t own a horse and couldn’t (and still can’t) really ride one! When I was in year five in 2002, we picked our last cotton crops. After 8 years of drought and no water allocations we turned to dry land cropping, even sowing wheat and barley into our irrigation blocks. Often our crops wouldn’t get to harvest due to the lack of water, and we were hand feeding our sheep and cattle day in and day out. Only one year in the middle of the drought was there enough water in the irrigation scheme to allocate water to famers, we choose to plant and irrigate forage sorghum to bale into hay to sell and feed for our stock..
My love of Agriculture extended throughout high school where I studied as much Ag related subjects as possible. I attended Kinross Wolaroi School in Orange. Here I was a part of the Cattle team, and after much encouragement from our neighbour and stud owner Steve Chase I learnt to show cattle and joined the KWS Cattle team. My love for cattle grew even more. Showing cattle opens up so many opportunities that linked into everyday life, which may surprise you. By showing cattle with the school I was exposed to the stud industry at all levels. We showed at all our local shows and also at the Sydney Royal Easter Show. This also helped me achieve numerous awards for Judging Cattle and Handlers Classes, including winning RAS NSW Reserve Champion Junior Judge. All of these experiences gave me a new sense of confidence in myself. Showing cattle enabled me to make friends and contacts for life, helped develop many life skills the main one being public speaking and also allowed me to apply for scholarships to do things I’d only dreamed of doing. 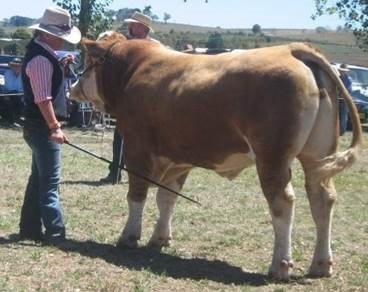 I don’t show cattle as much anymore, but I am still involved by helping out with junior heifer shows as well as I am a part of the Dubbo Show Society. Showing cattle at Blayney Show. Even with the drought and lack of funds my parents did everything they could to ensure I had the education I needed and ensured I stayed at Kinross. It is at times like these you can see boys and girls that have grown up before their time, accepting responsibilities and helping their parents as much as possible. My little sister and I were like this, as much as mum and dad didn’t want us to worry about how tough things were at home we always did, it was always on our mind. And due to this every holidays we would come home and set to work on the farm to help dad out as much as possible. 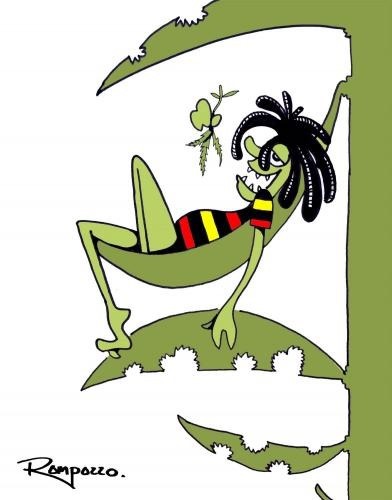 The main gesture I remember offering dad was I opted out of going to schoolies after finishing my HSC to come home and sit on a header for dad over harvest. In 2009 my HSC year, dad purchased a header of our own to ease the costs of sourcing contactors. At that time I never even thought I’d get to drive it but at the first chance dad jumped at teaching my sister and I all the bits and pieces. This didn’t just include driving it, we also learnt how to service it, because as dad says if you drive it you must know how to fix it (this included cars to!). Me Driving our Case 2388 Header. Many times over the years my father has been asked if he would rather boys to help instead of girls, my father’s response is simple, I wouldn’t trade my girls for the world! I am currently at UNE in my last year of study for my Bachelor of Agriculture. During this time I have participated in many subjects which have given me a better understanding of Agriculture, how to improve aspects of our farm and have been given hundreds of opportunities to do things which I didn’t even know where available. In my 2nd year at Uni I applied for an Angus Youth Scholarship and won a trip up to the Rockhampton Beef week, to learn about northern producers and to meet with some great people. I also became involved in the annual Farming Futures Dinner and Careers Fair that UNE run, I was the dinner coordinator for two years, gaining so many contacts through this experience, which have allowed me to line up summer jobs as well as give me an insight to where I would like to go with my degree. In my 3rd year, I applied for a MLA and Live Corp Scholarship to travel over to Freemantle to undertake a Stockman’s Accreditation Course, which enables me to work on a Live Export boat as a Stockman. To be fully accredited I have to do two practice voyages where I am assessed and then am given the ok to be fully accredited. I am hoping to get on two voyages this year. I also gained my certifications for Pregnancy Testing and Artificially Inseminating cattle. Now in my 4th and final year of study I was lucky enough to be the 2013 recipient of the Rob Seekamp Memorial Scholarship, and have also just been informed I have received an RAS Scholarship. There is an upside to the decommissioning as we now have more area to put to dry land cropping than before. We are now solely dry land cropping with our sheep and beef enterprises. I enjoy just as much as I ever did heading home and helping dad with our commercial herd of Angus cattle, our small mob of Dorper sheep and the preparation, sowing, spraying of our crops, but most of all you can’t beat getting on the header during harvest especially when you have a great season. My summer jobs have always been agriculture related and I have just come back from working on a cotton property in South West QLD. Taking me back to my love of cotton and irrigating. As well as this harvest just gone I gave the header driving a rest and worked for our local Grain Corp receiving and unloading grain trucks. Agriculture is a part of who I am, I wouldn’t be the same without it. I don’t have a favourite industry within Agriculture I love them all, after all I am a farmer’s daughter and very proud to be part of the next generation of female farmers! 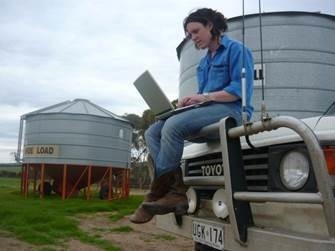 Todays guest blog comes from Rebecca Freeman another young agribusiness professional who has made the most of all the opportunities a career in agriculture has opened for her. 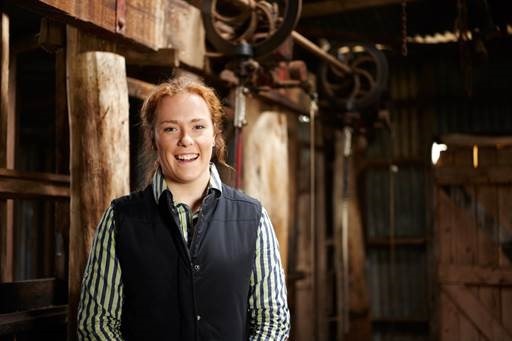 I’m Bec Freeman and my agricultural background reads like a farmer driving her header blindfolded backwards without autosteer through the hilly block. I was born into a mixed broadacre cropping and livestock family that through the years became more broadacre than livestock, moved from being a four son operation, to a husband and wife team, to a two generational partnership. I learned to ride a motorbike at 5, drive a car at 10 and a tractor not long after. I grew up knowing in summer you itched of barley dust and rain was the best smell and sound in the world. Winter was a time of gumboots and raincoats and the sting of cold air on your cheeks as you checked the ewes or monitored the crops. I knew everyone in town and had 24 friends at school – the whole school. 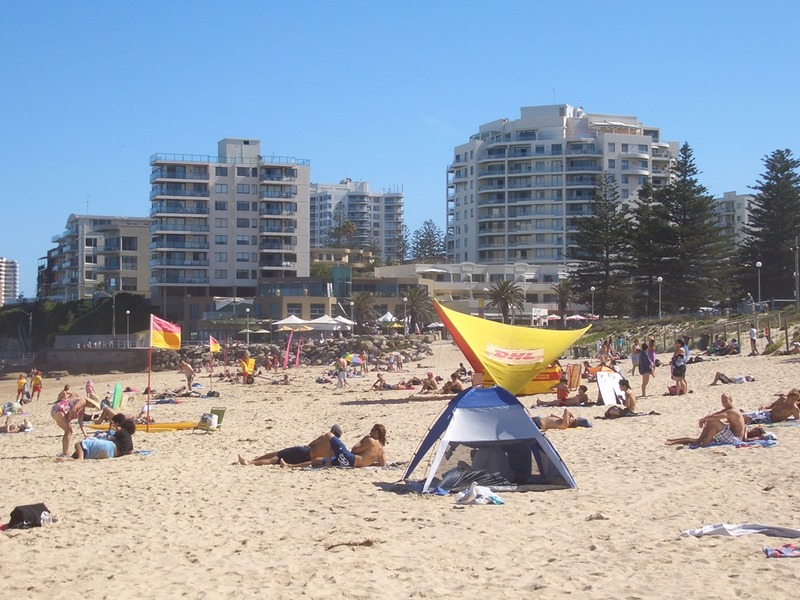 Saturdays were for sport and dinner at the local pub and holidays were yearly trips to the beach. Dogs were your first work tool you owned and the last mate you had left when things got tough. By age 14 I wanted out. Surprised? My folks weren’t. Some spirits are meant to roam free and they saw that in me and trusted that the love they had given me of farming, rural Australia and the land would guide me in the right direction, wherever that was to be. Boarding school and three years doing a degree in Sport Science landed me still not knowing where I wanted to head and keen to swap the city for the country again. After eight years away I found myself back at home working in the local vet clinic as a vet nurse and helping out on the family farm with my Dad and brother. I had good communication skills and so helped out on the farm mostly with brokering discussions and facilitating brainstorming (or just storming) sessions. Off farm I continued to work in customer service over the years, as a barmaid, in administration and in sales. Fast forward a decade and I’m still here in the Mid North, but wow my career in agriculture has been anything but traditional. Back then I knew I didn’t want to be a farmer long term, I am too restless and people orientated to be committed to the routine and dedication to seasons required of a grain grower. However, I loved farmers and I understood their passion. My passion wasn’t farming; it was the farmers themselves – the people behind the business. I admired all the qualities of these amazing people and I had skills that I knew, if I could just find some way to apply those skills to farmers lives whole communities would benefit. I had an incredible opportunity to work nationally as the Executive Officer for the Future Farmers Network. 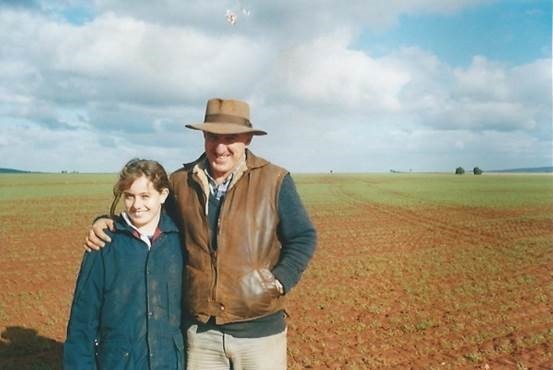 This was perfect for three very simple reasons – I got to meet hundreds of young people in ag, I got to travel all over regional Australia and I could raise my three children from tiny, little Koolunga because I could work from home in the industry I loved (and still drive the odd tractor or drench the odd sheep). It was during this time I had three encounters that shaped where I am today. The first was meeting some key people in the network. They opened my eyes to the variety in careers in agriculture. Until that point my exposure had been very traditional – farmers or service providers from banks, dealerships, chemical companies and the like. Then I discovered capacity building careers, like consultants and facilitators, job titles are a lot less defined but to me so appealing! I found out that people without agricultural backgrounds are some of the most successful people in the industry, because they think creatively about how to help the passionate people on the ground. The second encounter was attending a grains conference and meeting people developing mobile technology for farmers. This was when I realized my true potential wasn’t in a job that was already out there waiting for me to find it. My future lay in taking my ideas for improvement, mixing them with varied experience in the industry I loved, adding the right knowledge from different sources and applying it back to my passion – farmers. I created my own job in agribusiness and haven’t looked back. The third encounter was my experience with the RIRDC Rural Women’s Award and discovering what a difference good leadership could make in rural Australia. This award caused me to embark on a journey to develop my own natural ability, in work or as a member of a rural community, to lead others to achieve their own success. I realized that by developing myself constantly, there would always be a place for my career to develop too. 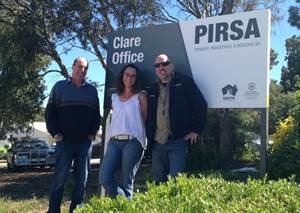 I currently live in Clare, South Australia with my three children. 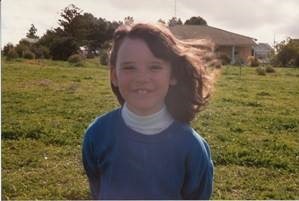 I am the Yorke and Mid North Regional Manager with the Department for Primary Industries and Regions, and have the goal here of developing my knowledge of all aspects of the rural sector and the relevant industries, to better lead and guide farmers in the future. I am also a Director in an agribusiness that is passionate about capacity building for the ag sector and a partner in my family farm. I know what I don’t want from my career too, which is as important as knowing what you do want. Best of all I am still only a short drive away from my family farm and enjoy watching the sixth generation look in awe at their Grandpa as they occupy the little seat next to him in the header, like I did, and realize they are a part of feeding the world. I call them holistic farm kids because I’m teaching them about agriculture from the tractor right through to my office in a government department and every step I’ve taken on the way…so far. My key message to young people looking at agriculture as a career path is don’t pigeonhole yourself or the industry. If I can go from being a fifth generation farmer, to a first generation agribusiness partner, having developed an iPad app, experienced the national not-for-profit ag sector and increased my knowledge of government agency operations in the space of ten years, where could I be in another ten? 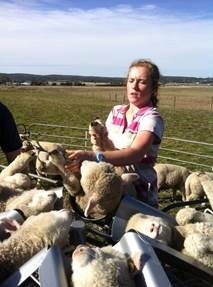 Hi I’m Jessica Kirkpatrick, a 19 year old student, grain analyst and sheep breeder. I’m from a mixed farming operation in south western Victoria. I loved growing up on our 3000 acre property with sheep, horses, dogs and an array of farm animals. The best part was having all the wide open spaces to explore! 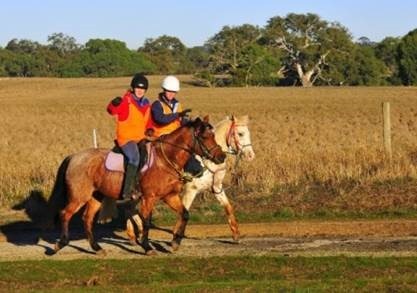 Beaufort is our closest town only 10 minutes away and the next rural centre is Ballarat about a 45 minute drive. The Kirkpatrick’s have been on our home property, “Glenayr” for 150 years. My father took over the farm when my grandfather died and has been a farmer for 41 years. There aren’t many people can say they have stayed in a job for that long! My brother and I are the sixth generation to be apart of the business. 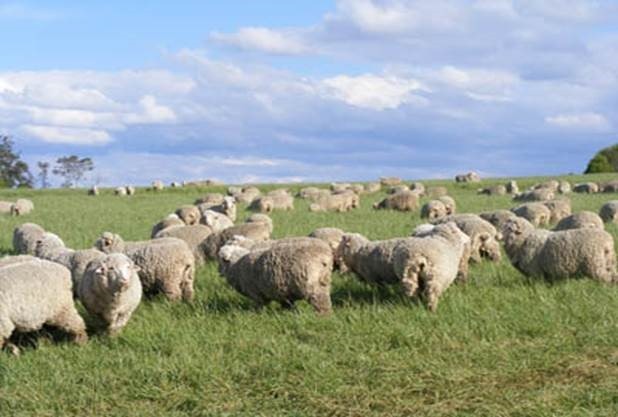 We have always been encouraged to be involved in the farm including animal husbandry activities including shearing, drenching, pregnancy testing, fleece testing and general mustering. At the age of 12, in partnership with my brother we established the “Jessie James” Border Leicester stud. Initially, it was a huge shock for an 11 and 12 year old to succumb to the reality of debt! However this project has given me so much. It is the book keeping skills, the understanding of fluctuating markets, the responsibility of checking the lambing ewes before school and selecting desirable traits we wish to breed in our flock. My passion for agriculture has also stemmed from my education. I went to a rural primary school and then high school involved a bus trip every day to go to Ballarat Grammar. At Grammar, I studied agriculture and horticulture in years 10, 11 and 12. I was involved in the school sheep and cattle show teams. These experiences broadened my horizons to see a variety of industries and the potential career pathways. I decided at the end of year 12, I wanted to continue my education in agriculture and now I’m currently studying a Bachelor of Agricultural Science at Charles Sturt University in Wagga Wagga. At completion I want to become an agronomist. I have a particular interest in soil science and want to assist farmers in increasing yields whilst being economically and environmentally sustainable. The four months of the year I’m not at university I spend at Lakaput Bulk Storage. 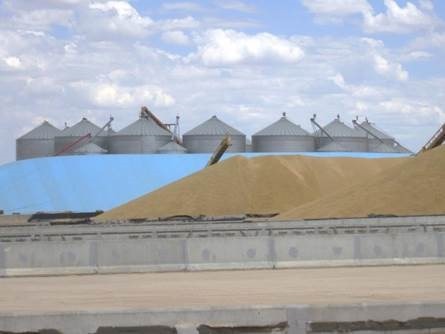 This is a facility where grain growers can store their wheat, barley, oats and canola throughout the year and can arrange the selling of the grain to marketers. For the 2011/12 and 2012/13 I was a grain sampler. This role involves collecting a grain sample and then testing it for quality by following a standards chart. In the recent 2013/14 season I was manager of the classification and sampling arm at the site. This has been an excellent experience as it has allowed me to see the importance of an agronomist in grain production, to ensure the grower can make the highest grade and receive the best price. I have also learnt about the grain marketing aspect and how the markets work and how prices are determined. I feel it is my time at Lakaput which has helped me decide that agronomy is the right career choice for me. The local agricultural show is a large part of my family and personal community involvement. 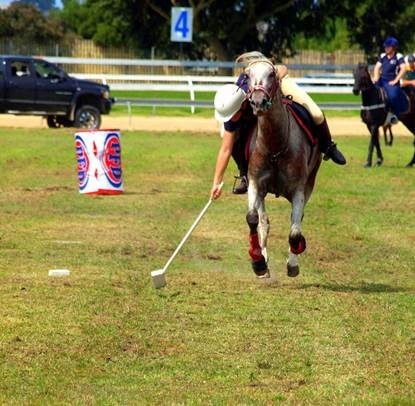 I have competed at horse shows since the age of five and as I have grown older I have taken on more roles within the event. I feel agricultural shows are a place for the community to meet and a way for people to display their best crafts, art, cookery, and livestock, whilst in a healthy competitive environment. I was awarded the 2013 Victorian Agricultural Shows Junior Ambassador Runner Up at state final. 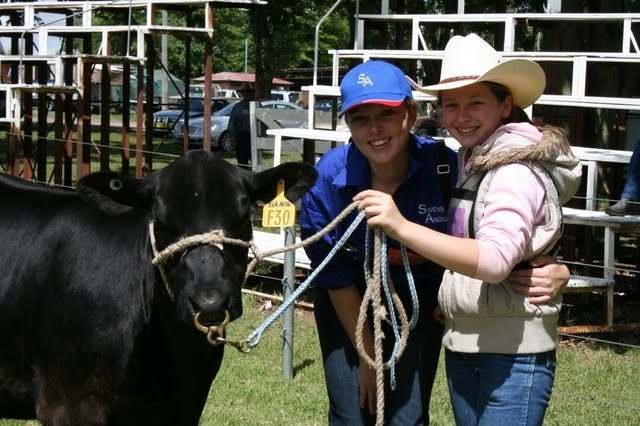 This is a competition that recognises youth involvement at Victoria Agricultural Shows, with criteria including agricultural show involvement, community service, general presentation, general knowledge, ambitions and public speaking ability. At the event I was interviewed by a panel of judges, participated in an on-stage interview and had time to interact with like-minded people. It is at events like this that I can see the sector has a bright future ahead with more younger people coming through the ranks. 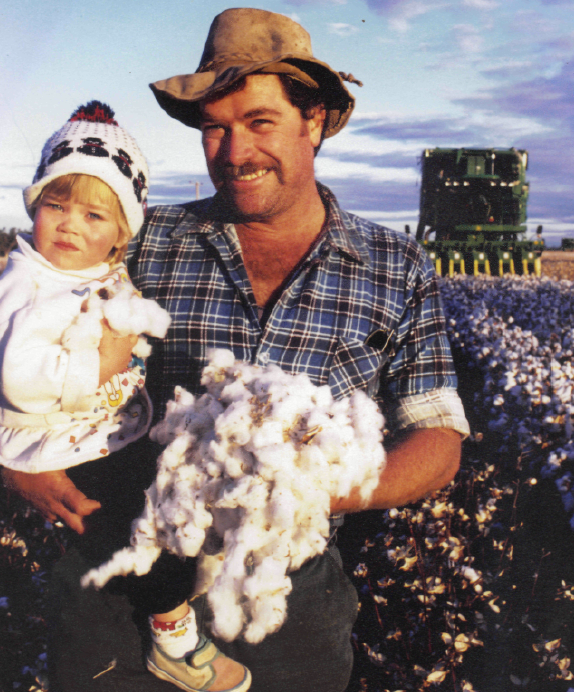 Through the RIRDC Horizon Scholarship I have been able to experience the cotton industry. Being Victorian, cotton is a very foreign crop to me. I enjoyed a work placement on a property near Moree in Northern NSW. I was shown the basics of cotton farming and was even lucky enough to spend a day with an agronomist. It truly cemented my career pathway in agronomy and I’m looking forward to many more experiences in this field. I’m excited to see the agricultural sector changing and developing in my life time. I’m looking forward to having a career which can take me anywhere around the country or even overseas. The grains industry is of particular interest to me and I’m keen to be able to provide agronomic services to cereal and oilseed producers. It is important for me to give back to the sector through promotion. One way to do this is through education and showing young people of both urban and rural communities the numerous opportunities our industry has to offer. We know how good our industry is so we must show it off to others! 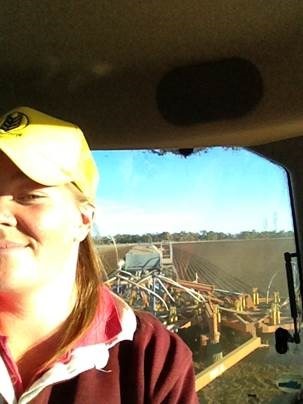 Meet Rebecca Thistlewaite who says Young people join me we are the exciting future of Agriculture! This is Rebecca’s story ………………………. When I was 13 years old my parents bought a small property in the Southern Highlands of NSW. This was the beginning of a whole new world of exciting experiences for me! The family farm then became my second home. I couldn’t wait to spend all of my holidays and weekends in a place that made me feel so free. It became the place I felt most comfortable and as time went on I was able to introduce the land to my friends. My parents ran a small cattle herd as we weren’t able to live there full time so on weekends there was a lot of work to be done. Working in the cattle yards teaching a group of teenage city girls like me was always very rewarding for mum and dad. They they knew like me that every young person has the potential to make change and are only limited by knowledge that they attain. So we would go about explaining every aspect of what was involved in the running a commercial cattle farm. As well as farm work I was lucky enough to get the opportunity to learn how to exhibit cattle with the help of some very generous local Angus breeders. From here it was clear which direction my career path would take me. 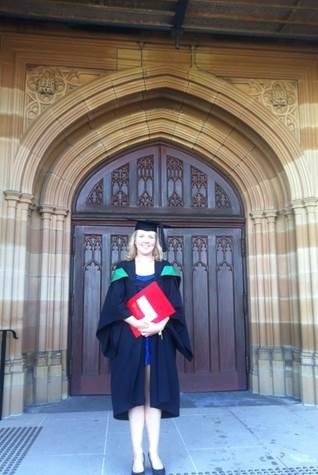 I enrolled in a Bachelor of Science in Agriculture at the University of Sydney. Unlike a lot of my school friends my path through uni was slightly different but extremely exciting. The decision to develop a career in the Agricultural Industry was discussed my decision at length with my parents and every conversation would lead back to my future in the agricultural industry. I believe young person should have a career that is rewarding and fun gives back to society in the best way possible. At university I became an agriculture ambassador travelling around to schools all over Sydney carrying out workshops related to agriculture and that gave me a unique insight into how primary school kids saw where their food and fibre comes from. I was so inspired by the program and how much it did for these kids that I started to go to the schools around my home doing a similar thing. I wholeheartedly believe that the future of agriculture depends on attracting young talented people and helping them realise what a modern, exciting and challenging career it is and this is what drives me in both my working and home life to do as much as I can to promote positive images of the industry. I graduated in 2011 with honours and although Uni was hard at times it was well worth it in the end. My new job meant relocating to Armidale in Northern NSW and I loved it . The people are so friendly and not only this I was able to experience different ways of farming across a broad range of fields. My job kept me incredibly busy. I travelled 75,000kms by car in my first year across NSW and QLD, flew interstate countless times and I was lucky enough to travel to 2 different countries as well. One of the best parts about the Agricultural Industry is that new opportunities arise every day, especially for young people! 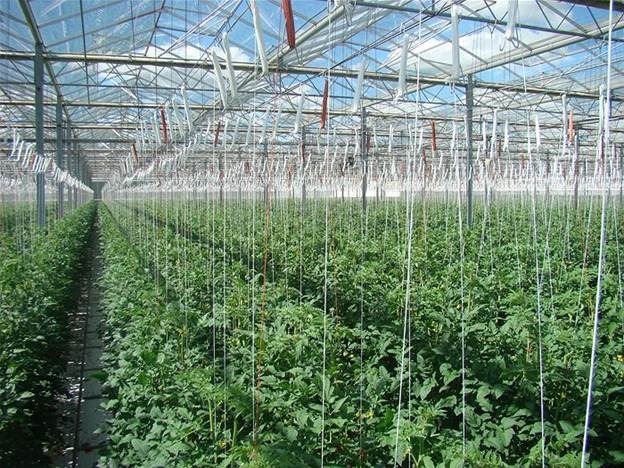 I have a passion for research in the areas of climate change and heat tolerance in plants. 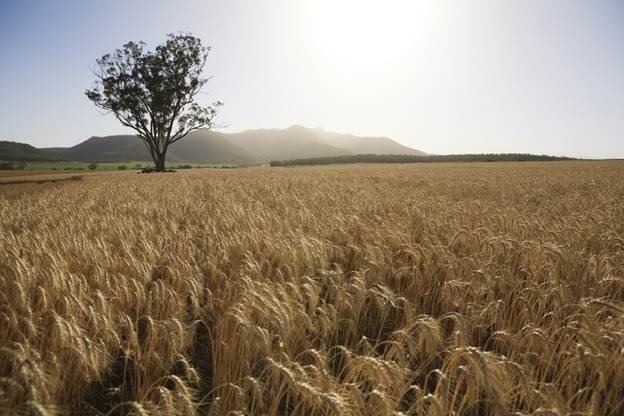 Did you know that wheat is the staple food of almost half the world’s population and approximately 30,000 farmers grow wheat in Australia? Its no wonder I saw this as a fast-moving field I wanted to get involved in as soon as I could. 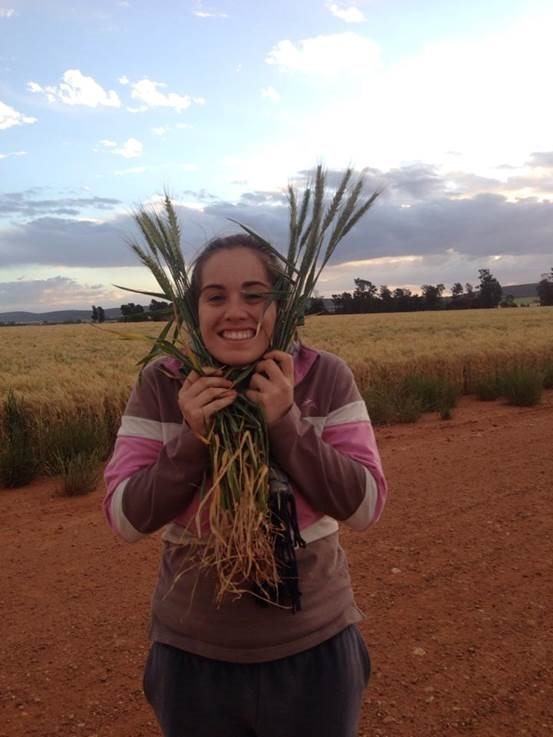 In 2013, I was lucky enough to receive a Grains Research and Development Postgraduate Scholarship to study plant breeding and genetics at the University of Sydney. I jumped at the opportunity to study something I love and haven’t looked back! I now live in Narrabri in Northern NSW and all my field work is based at the I.A. Watson Grains Research Centre there. As a city kid who now loves the bush I strongly encourage all young people, who haven’t done so already, to go and experience what it is like to spend a day on a farm. If you have already had the pleasure then you know exactly what I mean when I say that it is one of the most rewarding experiences that you could have. Author Picture You in AgriculturePosted on January 22, 2014 March 11, 2014 Categories Archibull Prize, Careers, Grains, Guest post, Young Farming ChampionsTags Alpaca farming, I.A. 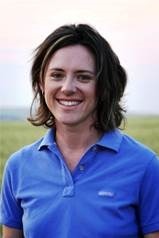 Watson Grains Research Centre, Narrabri, Sheep farming, Sydney University, Tomato farming in glasshouse, wheatLeave a comment on Meet Rebecca Thistlewaite who says Young people join me we are the exciting future of Agriculture! 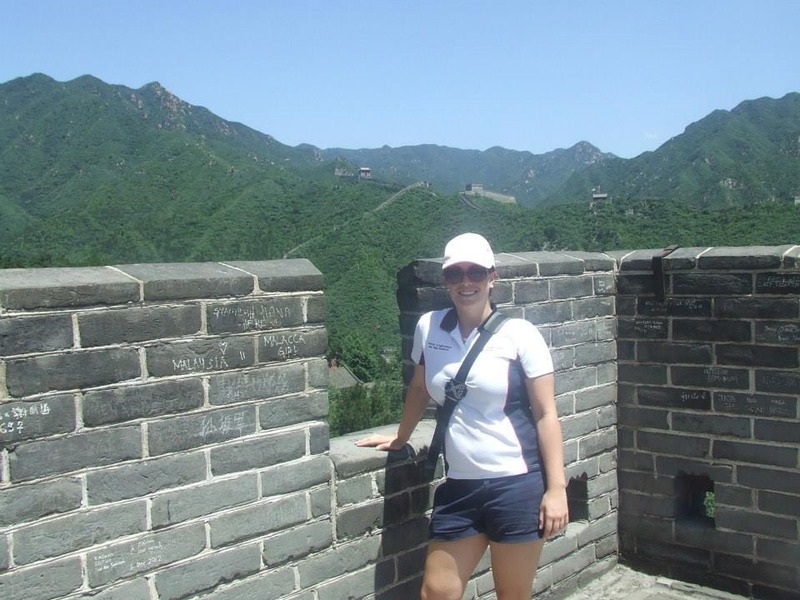 This is Kate Molloy’s story…………………. Throughout my life I have always been surrounded by agriculture. Sheep, cattle, cropping you name it; I have even experienced a taste of fish farming. From when I could walk, farm animals and plants have always been a part of my daily life and I would never have it any other way. So I guess you could say that it was inevitable that my chosen career path became the red-dirt road to agriculture. My adventure started in the small country town of Goolgowi where we only ran a small hobby farm. We dabbled in a bit of everything and my grandfather even had his own small piggery there. Goolgowi was a small, thriving, agricultural community with no end of support from its members. When the drought hit NSW was when I realised how much agriculture supports rural communities such as this. Pretty quickly farming families that had made Goolgowi home for generations had to move on in search of greener pastures and the community diminished significantly. My family and I even had to move but not too far away. 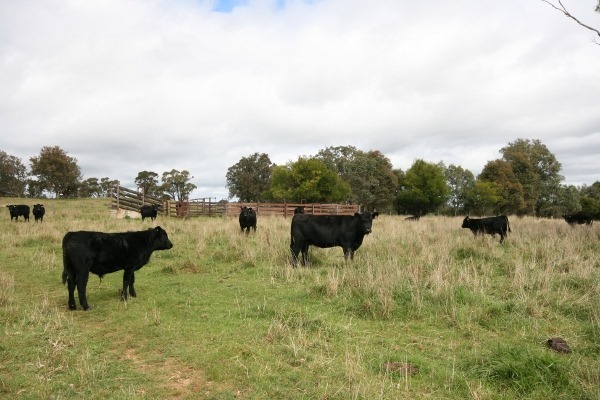 We began running a farm called Ballandry Station at Yenda, NSW. At Ballandry we became sheep and cropping farmers. Times were tough so everyone was expected to pull his or her weight. This meant getting up at four in the morning to beat the heat when the sheep needed moving to a new paddock, or paddocks needed to be worked up. My sisters and I had to learn how to drive from extremely young ages so that we could tow the hay trailer around while dad through hay out to the starving sheep. At the end of every year we had to jump on tractors and the header to help harvest our wheat crops. This was one of the most important events of the year for us and it was a lot of fun as well. 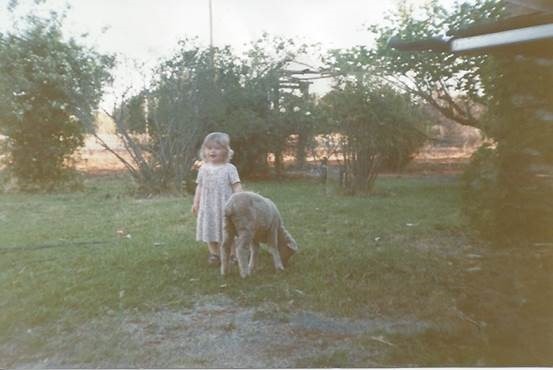 Dad taught my sisters and I to drive from extremely young ages so that he could throw hay out to the starving sheep whilst we drove the ute slowly through the paddock. This wasn’t uncommon though as majority of farmers had to rely on the family pitching in because they couldn’t afford help. 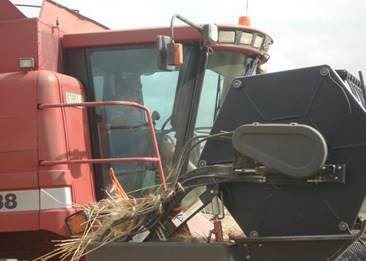 Every year my sisters and I help harvest our crops usually driving tractors and headers. It is an extremely fun and action packed time and one of the most important events for us as cropping farmers. I began to love the cropping side of farming. It amazed me how quickly the seeds we planted grew into golden wheat plants that provided a shed-full of grain after harvest. I enjoyed going out and checking for different weeds and diseases with dad during the winter when the plants were still young. As I said I have had a taste of many different agricultural industries. I loved our family holidays to the isolated community of Tibooburra where my uncle ran a large cattle station. We helped with cattle work and daily station chores when we were there and attended the odd gymkhana or rodeo. These visits only fuelled my love of agricultural and my desire to build a life around it. Sadly when I began high school this passion was put aside for a while when I began listening to the people who believed there was no real future in agriculture. Our school had amazing facilities for an agricultural program but never actually got one going so slowly my interest began to dwindle and the career I had envisioned in my head changed to becoming a teacher. However in Year twelve I went out on a limb and decided to spend a day with our local agronomist. My love and passion for agriculture resurfaced and I was asked to become a bug checker during the summer holidays. This meant checking many different types of crops from rice to sunflowers and wheat to pumpkins for bugs that would cause damage. Thankfully my passion for agriculture was reignited before university admissions closed and I have now finished two years of a Bachelor of Agricultural Science at Charles Sturt University, Wagga Wagga. Every summer since I have continued my work with our agronomist and will eventually be a full fledged one myself when I graduate. Slowly I have been handed more and more responsibility in my position and it has definitely expanded my skills in grain production. Through the university I was able to travel to China in 2013 to experience and learn about agriculture in a different country. My eyes were definitely opened and not only did I gain a load of information on agriculture but I also got to experience another culture and learn about the Chinese society. This is one experience I will never forget and in the future I hope to travel to other countries to also learn about different agricultural methods. 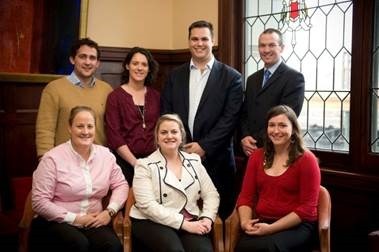 This year I was honoured enough to be selected as one of the eight Royal Agricultural Society Rural Achievers for 2014. This is something I am so excited about because it is yet another opportunity to showcase agriculture and expand my rural leadership skills. It is an awesome program that showcases young leaders in the rural community at the Sydney Royal Show. 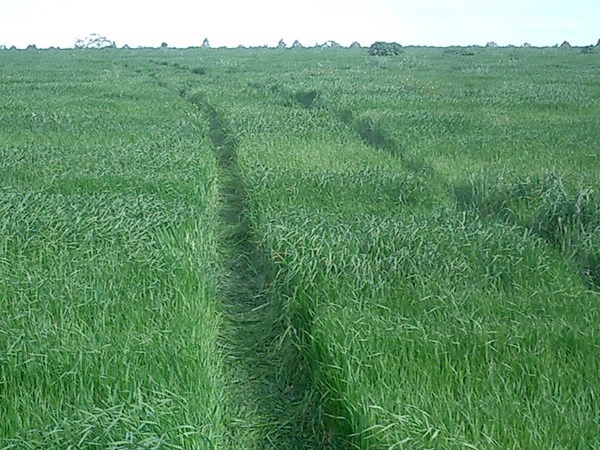 So for now my path is heading straight for agronomy, or as some like to call them a ‘crop or plant doctor’, If you eat, wear clothes, live in a house or even drive a car, your life has been influenced by an agronomist. Agronomists play an important role in the agricultural, food and clothing industries. Agronomists are plant scientists. They are experts in agriculture. 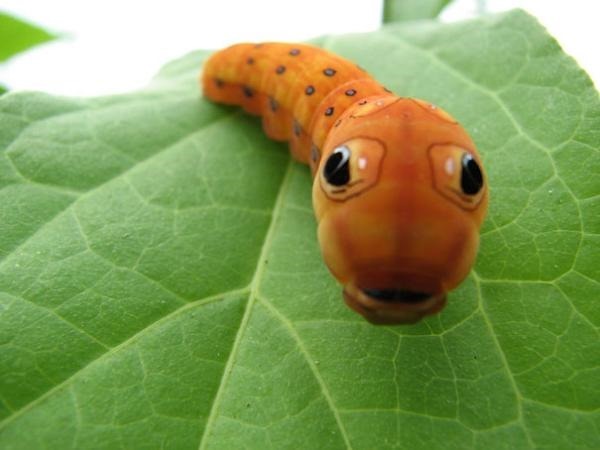 They work with plants such as cotton, corn, sorghum, wheat, rice, peanuts and more. Many agronomists work in research. Some develop new breeds of cotton, creating plants that are stronger and more resistant. 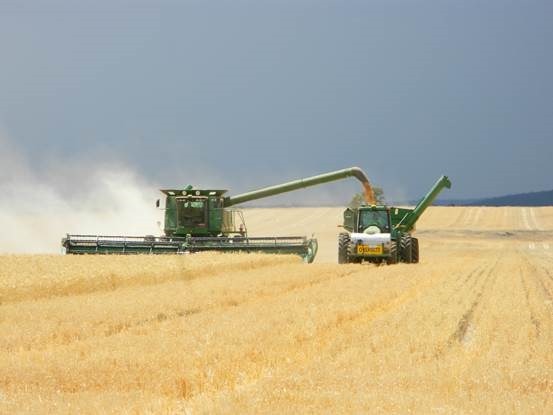 Some agronomists work with wheat, developing hybrids that produce more yields per acre. Often times their work is done right there in the middle of the field. Currently, some agronomists are working with peanuts, trying to create peanuts that people are not allergic to. I am excited that my passion for agriculture has led me to pursuing a career in advisory services to farmers. I want to be able to help them grow the best grain possible so that our bread, flour and other grain products are the best in Australia and the world. All of these events in my life are leading me to an awesome career in agriculture, which I hope to educate people about and invite them into this industry.